The Scoop: In 1985, Grant Wheaton founded ManMate, a New York-based matchmaking company, because he wanted to help relationship-minded gay singles skip the hectic party scene and cut straight to promising first dates with quality individuals. He has spent the last 30 years building a network of hundreds of matchmaking clients and date candidates. 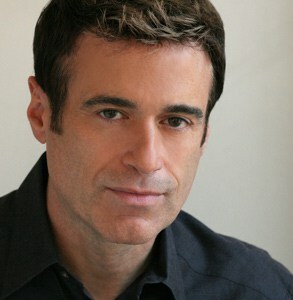 Throughout his career, Grant has worked with over 10,000 gay singles in New York, New Jersey, and Connecticut. Today, he’s looking to expand ManMate to the West Coast and offer more personalized services to prepare men for long-lasting love. After years of arranging dates, hosting singles-only dinner parties, and dispensing dating advice, Grant has cultivated a solid reputation as a professional and proficient matchmaker at the head of ManMate. Grant Wheaton moved to New York City to become a professional actor, but his people skills and networking ability soon led him to pursue a career in an entirely different industry. He started his matchmaking firm in 1985, back when the most popular way to meet people was to hang out at the local bar or club. Professional matchmaker Grant Wheaton founded ManMate in 1985. As a matchmaker, his first priority was recruiting potential clients. He knew he had to reach out and get the attention of local gay men, so he spent a month putting together a dating questionnaire that he handed out during New York City’s Gay Pride Week. He passed out over 10,000 questionnaires in just a few days. Because, in the ’80s, that’s how you went viral. Thanks to his hard work, Grant established himself as the go-to matchmaker and dating consultant for gay singles in New York, New Jersey, and Connecticut. Now over 30 years later, ManMate continues to grow by word of mouth, and Grant is looking to expand his presence on the West Coast. His team is in the planning stages of opening an office in California and offering its matchmaking services to clients across the country. Whether he’s hosting a dinner party or arranging a private introduction, Grant takes care to put the needs of his clients first and make sure they have the best chance to find a compatible guy in their area. You can visit www.ManMate.com or call (212) 564-4025 if you want to learn more about Grant and his team. Grant has made a name for himself with his signature Dinners for 8, but he also provides one-on-one consultations for singles who want more hands-on assistance. With over 700 members, ManMate has the distinction of being the largest personalized gay dating services in the US. Grant said he is interested in adding a supplemental coaching package to his matchmaking services to further support gay singles in the dating scene. He saw a need for this service as so many of his clients found someone they were interested in at a dinner party or arranged date and then wondered, “Now what do I do?” As a dating coach, Grant can provide those important next steps and prepare singles to build lasting partnerships. Gay men across the US and internationally also contact Grant for consultations and coaching sessions which take place via phone, email, Skype, FaceTime, or in person. By diversifying his services, Grant aims to meet the needs of a diverse population of singles who have different needs, different goals, and different strengths and weaknesses. From advising a 20-something to watch out for red flags to encouraging a 50-something to feel good about himself and what he has to offer a partner, Grant provides thoughtful dating advice that’s tailored to the individual situation of his clients. While helping his clients find love, Grant has also found success in the romance department. He recently married his longtime partner Dennis Courtney, who is a nationally recognized stage director and writer. Grant and Dennis have been together for over 17 years, so they know what it takes to make a relationship work. Grant and his husband co-authored a dating advice book for gay singles. 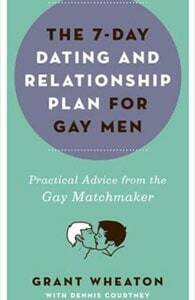 In 2008, Grant and Dennis compiled their best dating advice in a bestselling book called “The 7-Day Dating and Relationship Plan for Gay Men.” This instructive guide can help gay singles learn the basics of healthy relationships and overcome challenges in their personal lives. The book has been well-received, with many positive reviews and an average rating of 4.5 stars on Amazon. “I found this book to be very informative!” wrote Brandon in a five-star review. “It really provides you with a clear explanation of how dating works for us gay man.” Brandon added that he felt more confident about re-entering the dating world after reading the book. Grant draws from his personal experiences as well as his work with clients to outline seven principles to maintaining a successful relationship. He uses fun examples of good and bad behavior to illustrate his point. If you want to avoid stepping on a relationship landmine, it’s worth taking a look at what Grant and Dennis have to say. Grant said many of his clients buy the book and rely on it to answer common dating questions that come up as they flirt, date, and build relationships. The book is available as a paperback and as an ebook on Kindle and Nook. Since 1985, Grant has worked with over 10,000 single men. He has offered advice, facilitated dates, thrown private dinner parties, and matched his clients by using his intuition and experience. He has seen many love stories blossom before his eyes, and has dozens of testimonials to showcase his impact on men’s lives. Grant’s enthusiasm for love and relationships is positively electric. He has inspired countless love stories in the last 30 years and hopes to build on his successes by reaching out to help men throughout the country. Over the years, ManMate’s dinner parties and introductions have given men a chance to meet compatible dates, and Grant’s coaching can help them hone their interpersonal and relationship skills as well. In the meantime, Grant’s self-help book is there to guide any single man wondering what he’s doing right or wrong in the dating arena. As an experienced dating expert, Grant gives readers and clients the clarity they need to find a healthy relationship.